Deciding where to buy a home, especially a first home, can be a very difficult decision. The area you choose will likely have a large impact on your family’s quality of life for years to come. If you have not yet settled on an area, you may want to consider Folsom, California. We sat down with local Folsom real estate expert Barbra Fink and as a resident of the area, even I was surprised to learn just how great the benefits of Folsom living are. As one of Folsom’s top realtors, you can tell Barbra has a true passion for where she lives and works. Barbra was quick to point out that Folsom offers beautifully planned neighborhoods, parks, and schools as well as a pristine lake and river area providing water sports activities and fishing throughout the year. The outdoor enthusiast will also appreciate countless miles of biking and jogging trails. Aside from recreational activities, Folsom also has a thriving business community. Barbra notes that while we have all been impacted by the recent economy, Folsom has done extraordinarily well when compared to other Tri-County cities; the unemployment rate in Folsom was only 5.5% as of May 2010. The strong local economy has kept median home prices up and real estate values have declined more slowly than in other areas. In addition, Barbra has been tracking average monthly home sales for Folsom and they have been showing a positive upward trend as of late. Barbra pointed to a recent presentation to Intel by Folsom’s Mayor Jeff Starsky, that showcased why Folsom has kicked the trends plaguing the country while experiencing continued growth and expansion. If you haven’t seen this slide show, you don’t want to skip it. Deciding where to find the best value within the niche communities of Folsom can be tricky. We suggest giving Barbra a call and she can help you navigate the best values in the Folsom market. If you are looking outside of Folsom, chances are Barbra can help you with that as well. Barbra is a local Lyon realtor, and she selected Lyon for a number of reasons. Lyon is the #1 real estate brokerage in the Tri-County region with 17 offices and 900 agents. The company places a high value on education, as all Lyons agents are also required to take several courses each year to stay up to date in short sales. She feels this training is important in keeping Lyon’s agents sharp and well prepared for understanding the short sale process and also aids in working with banks to ensure a smooth real estate transaction. 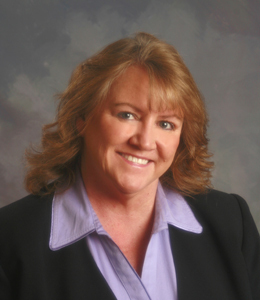 If you are looking for a short sale, Barbra is also a certified short sale specialist. Lovely one story home in W. Roseville w/3 beds /2 baths. Beautiful landscaped backyard w/lighting & flowers galore! Bring your most selective buyers! When not selling homes, Barbra volunteers her time at the Vista Del Lago High School Drama department where her daughter is a student. She is also involved in their church and her daughter’s youth group. Barbra is currently planning a trip to help celebrate her 25th wedding anniversary with her family. Congratulations, Barbra! ← When Is Workers Compensation Insurance Required In California?